By Liz Spikol·	 3/7/2013, 10:25 a.m.
Holly Mack-Ward & Co. sends out e-newsletters full of useful and often humorously presented information. In the most recent edition, she put together some numbers related to the Actual Value Initiative (AVI), the new property assessment plan that has people running in the streets. 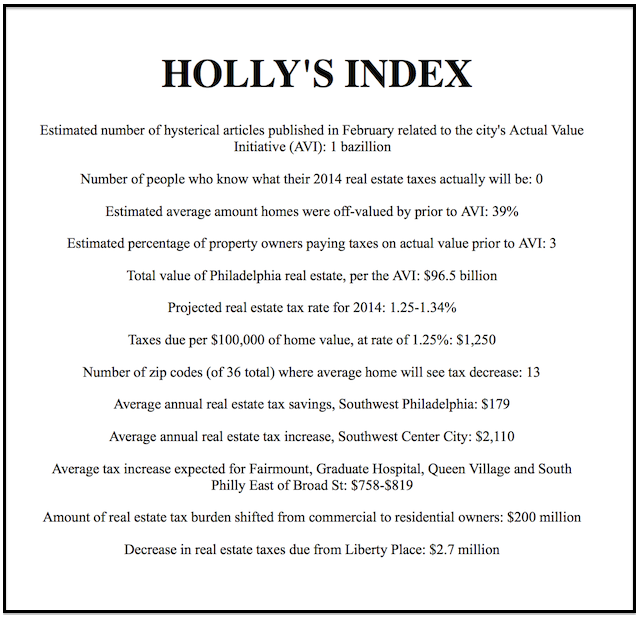 We took the stats and reconfigured them, with apologies both to Holly and to Harper’s Index.